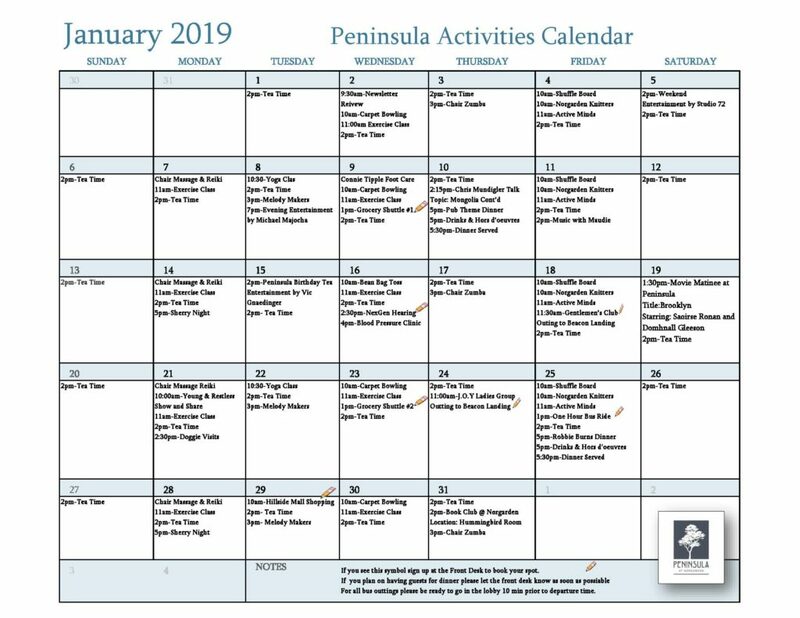 A new year, and many activities to keep you as busy as you want or not! Join us on the 1st for yoga, a gentle New Years stretch for mind and body. No mat required, it all takes place in the comfort of your chair. Kathleen has lined up lots of live entertainment this month as well. Join us at The Peninsula on the 5th for Studio 72. Studio 72 in Victoria is a classic jazz ensemble consisting of three musicians; Len Knoke, lead guitar, Craig Walters, guitar, and Merv Campbell, bass guitar. On the 8th Michael Majocha is back at The Peninsula at 7pm. Theme dinners this month: Pub Night! Join us for burgers, beers and appies on the 10th at 5pm for Hors d’ouvers and 5:30 for dinner. On the 25th we will celebrate Robbie Burns day with the traditional meal of Hagis for a a warm, and merry Ceilidh evening! 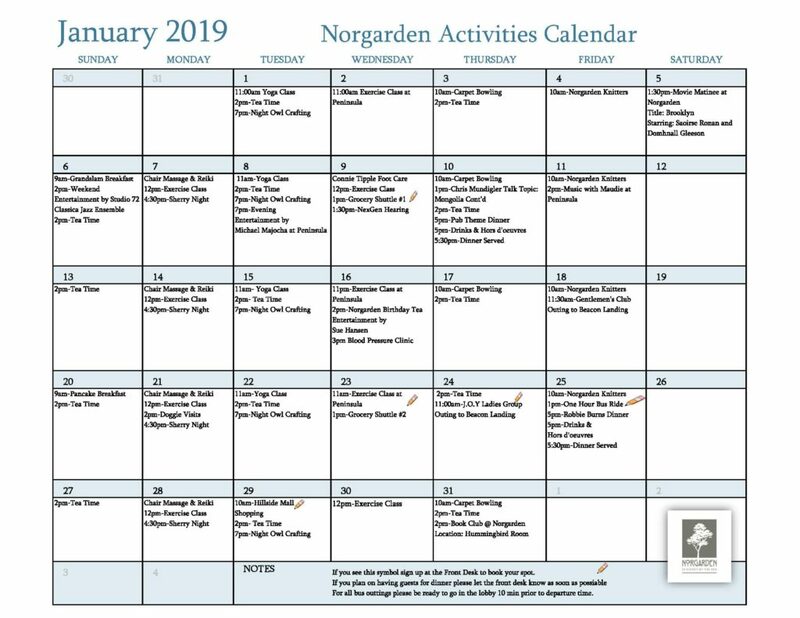 Check out the calendar’s below for all the activities at The Peninsula and Norgarden!